Vacation planning between my husband and I used to be a train wreck before we figured out one anothers planning, organization, budgeting and spending styles. We went through a phase where we planned together, but argued through the planning process. Then we decided to take turns planning. That’s when we learned the most about how the other planned vacations. Once we got a feel for each others style we figured out how to use the best of both to plan some amazing vacations. 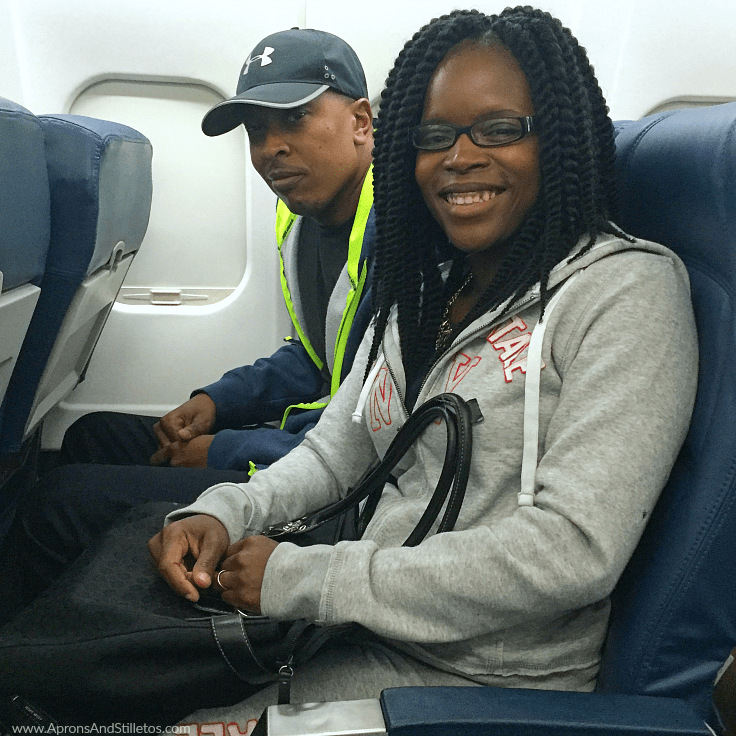 From the day we met, we’ve shared a love of traveling and one thing we believe is in order to pull off a fabulous vacation everyone needs to be in the know. This especially true if you’re leaving the country which we’ll be doing twice this year. To help us plan we use digital calendars on our phones and computers. I have ours pulled up on my LG Grace which we use as our home phone with a plan through Walmart Family Mobile. 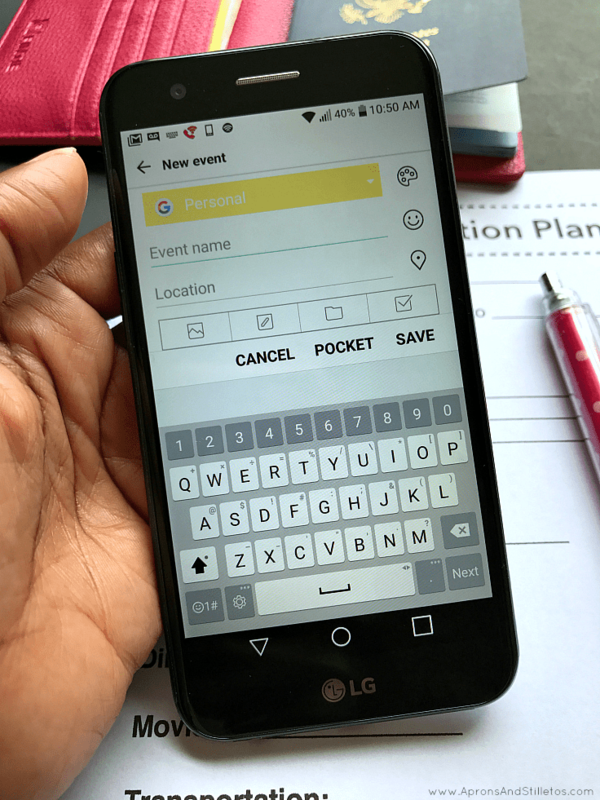 From this phone we can access our joint calendars which shows us important tasks, events, dates and activities. Our next big travel adventure will be to Nairobi, Kenya. This has been the most detailed trip we’ve ever been part of. We will be traveling with twelve people and have been sharing travel details virtually with them for months. 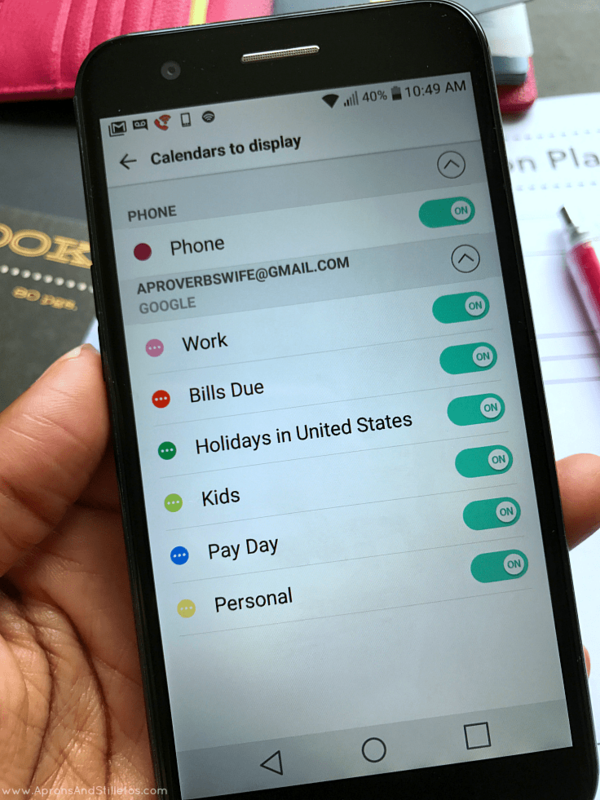 Being able to pull up important emails, manage dates and share them with my husband from my phone has been the key to keeping our plans on track. 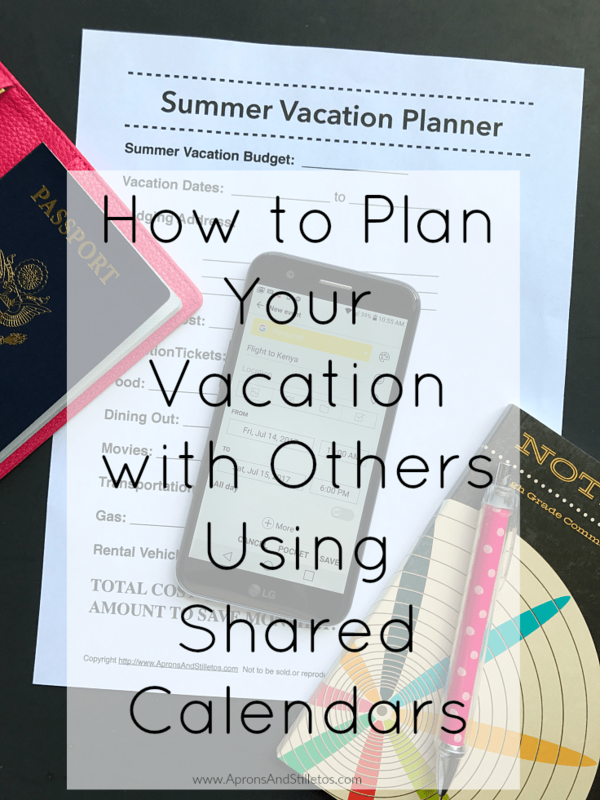 Most of our vacation entries are done on our personal phone, but it shows up on the mobile phone we use as the hub of our home as well via shared calendars. This phone is primarily our home line and kids phone, but they need to know our plans as well. While we’re gone they’ll be using this LG Grace and Walmart Family Mobile plan, powered by T-Mobile on on TMobile’s Nationwide 4G LTE† Network. 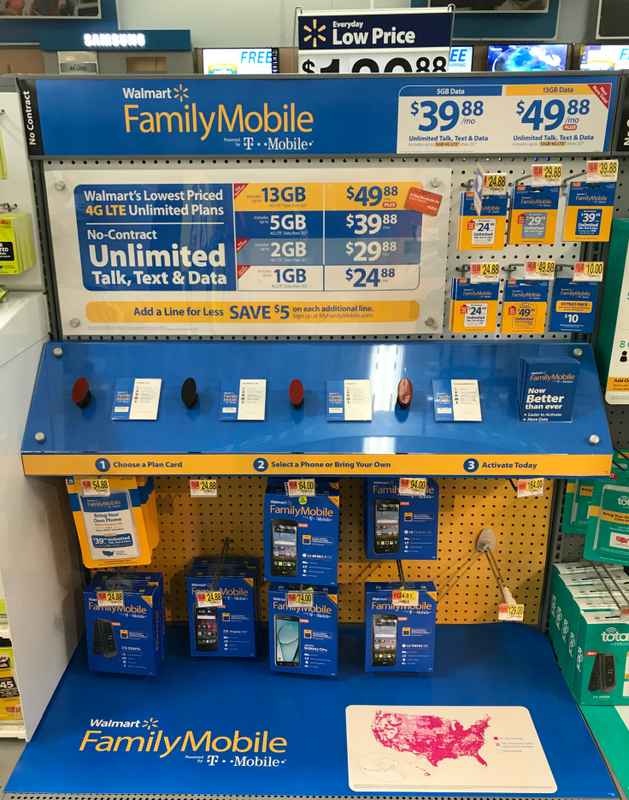 We got them service through Walmart Family Mobile several years ago it’s been the best option for us when it comes to a low cost phone for our home. 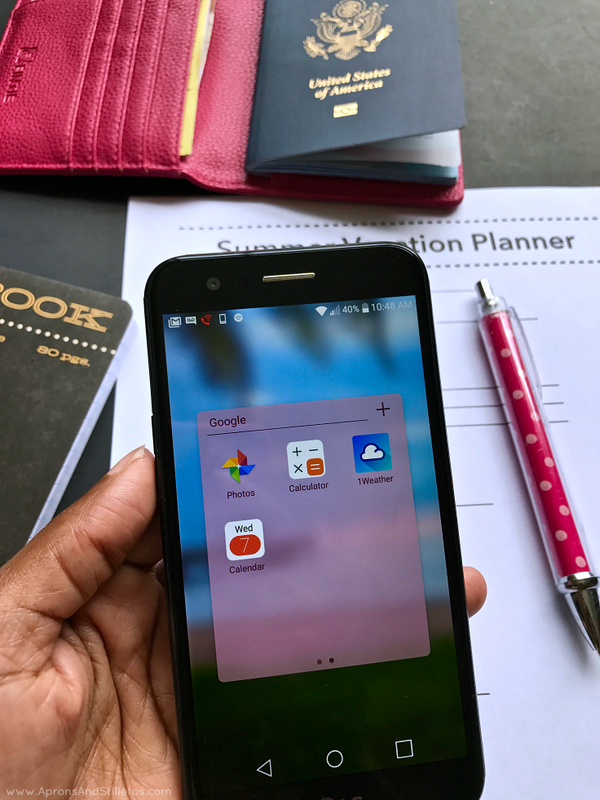 We chose this phone and plan because we needed something that could serve multiple purposes. We wanted an mobile phone that would allow the kids take with them if they we’re staying late after school, one where we could access the internet, text and manage our home. The phone with our $49.88 PLUS Plan powered by T-Mobile on on TMobile’s Nationwide 4G LTE† Network let’s us it all. With the plan we get Unlimited Talk, Text, & Data which includes up to 13GB of 4G LTE† then 2G* plus a free VUDU◊ movie credit every month we renew our service ($7 value). After comparing mobile plans, we knew we’d save more money with a mobile phone plus we’d get more features. The money we save making the best choices with our money are part of what makes it possible for us to travel. 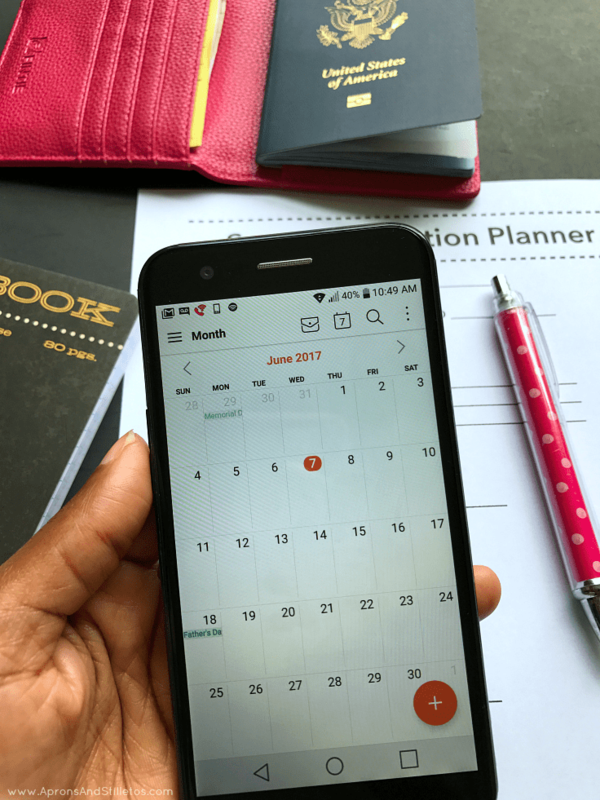 For our Kenya trip, we’ve been using the calandars on our phones to plan and keep up with the details. My husband and I share one virtual calendar that has sub calendars within it. The sub calendars are all created in the Google calendar. Each calendar has a color that let’s us categorize entries. As I make plans for the trip, I add them into our calendar under our “Family” calendar. This calendar is shared with my husband, so everything I add shows up as a notification on his phone and on our linked calandar. This works in reverse, too. So everything he adds to the calendar shows up for me as well. Using digital devices means we can access information anywhere. 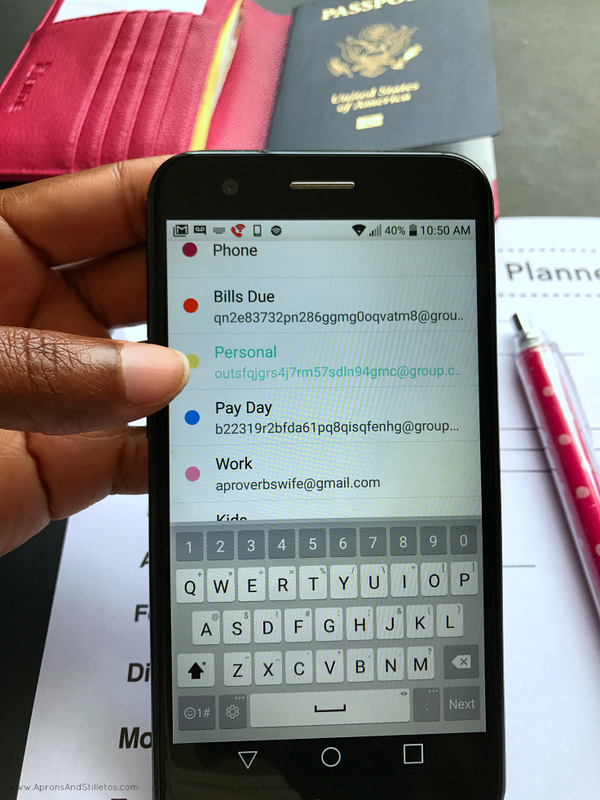 We don’t have to wait until we gat home to find paper work, dates or information. We can pull up everything from our hotel to flight information here. When we add check in time, we also add in the hotel info. When our flight info arrives in our email inbox, it automatcially adds to our calendar along with flight numbers, and the itinerary. 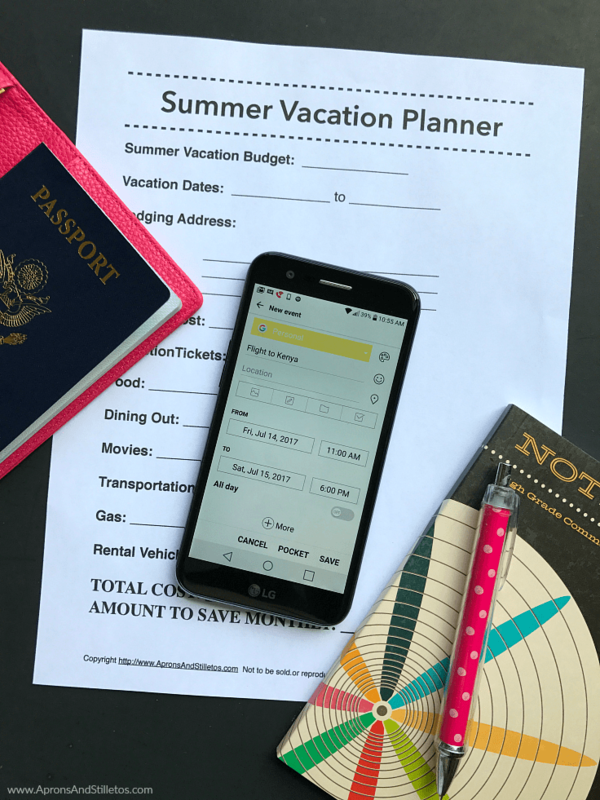 Using a virtual calendar and mobile phone is bomb for planning vacations with multiple people. If you’ve never done it, give it a try and see how that work for you. If you have questions about setting it up just ask in the comments. The phone I’m using in the LG Grace from Walmart. 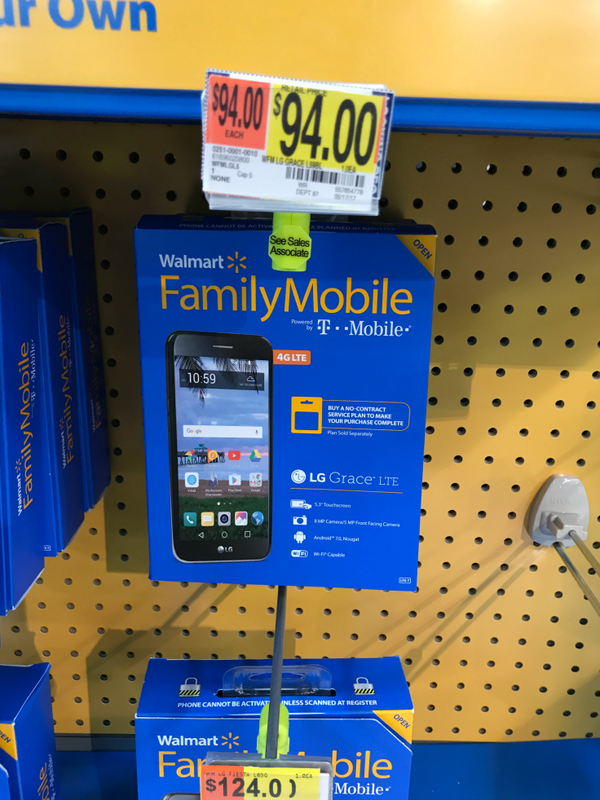 The plan I have is one of three available Walmart Family Mobile Plans and powered by T-Mobile. These plans have no contract, no activation fees and offer clear monthly service plan prices. I’m on the $49.88 PLUS Plan “Powered by T-Mobile’s nationwide 4G LTE† network”. My plan has Unlimited *Talk, Text, & Data which includes up to 13GB of 4G LTE† then 2G* and includes a free VUDU◊ movie rental credit valued at $7.00 every month I renew my service. The plan is perfect since every one in the house uses this phone at some point. ◊Limited time offer. Available for lines active with the PLUS $49.88 plan only. VUDU enabled device and account required for digital viewing. Customers must be 18 years or older to open a VUDU account. Movie rental only available in the USA. Free movie rental provided in the form of a movie rental code to the value of a $7.00 VUDU credit. Movie rental code allows for selection from available movies for rent. May not be readily redeemable on all new releases. Code will be delivered within up to 24 hours of the effective account renewal date. *Please always refer to the latest terms and conditions at myfamilymobile.com.†To get 4G LTE speed, you must have a 4G LTE capable device and 4G LTE SIM Card. Actual availability, coverage, and speed may vary. LTE is a trademark of ETSI. To get started all you have to do is head to Walmart. Pick a phone. Pick a plan. Activate & Go. 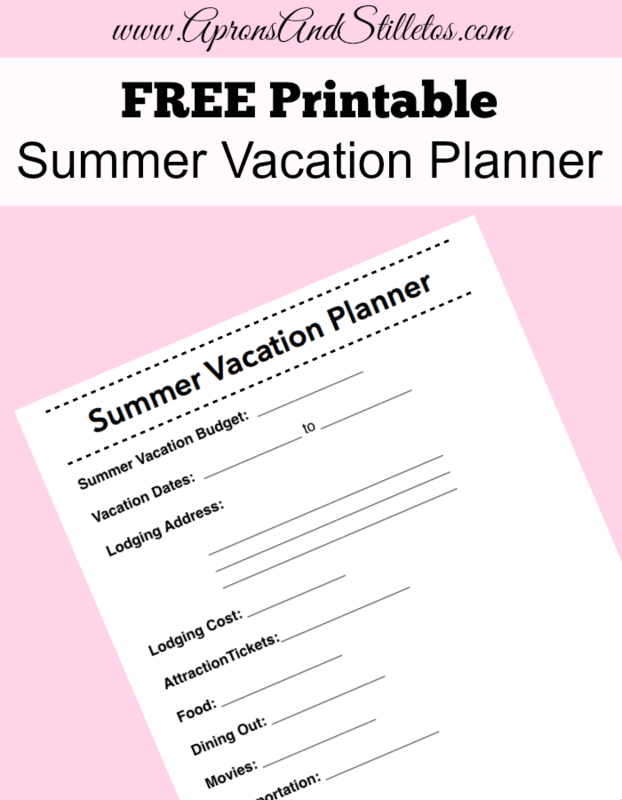 Here’s a FREE summer vacation planner just like the one I use to plan my vacations. Tap the link to download it.